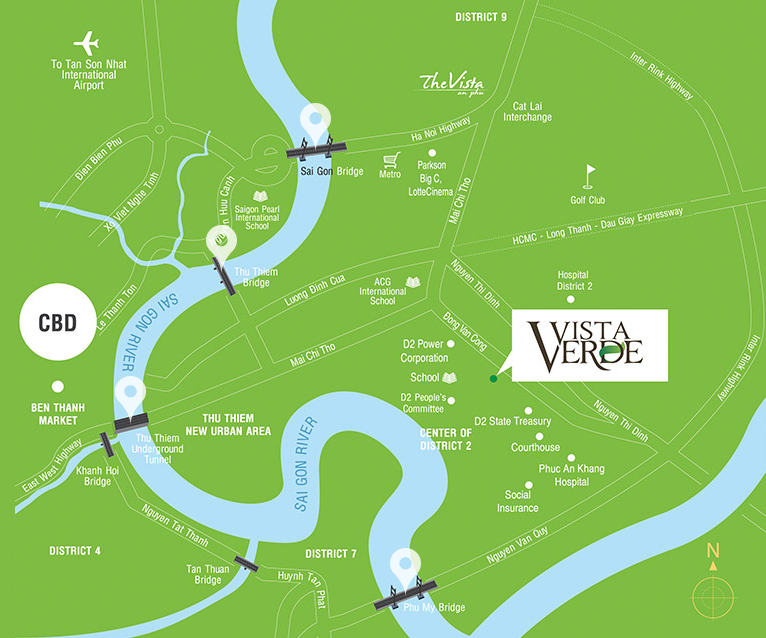 The only tower at Vista Verde with spectacular river view for majority of units. The only tower in Vista Verde with panoramic scenery from District 7 to District 2. Living spaces are filled with natural light and blended with nature. Orchid Tower’s entrance is an open space with direct access to Orchid Garden. Reading lounge in Orchid Tower, a library interacted with nature, is an ideal place to relax for Orchid’s residents. 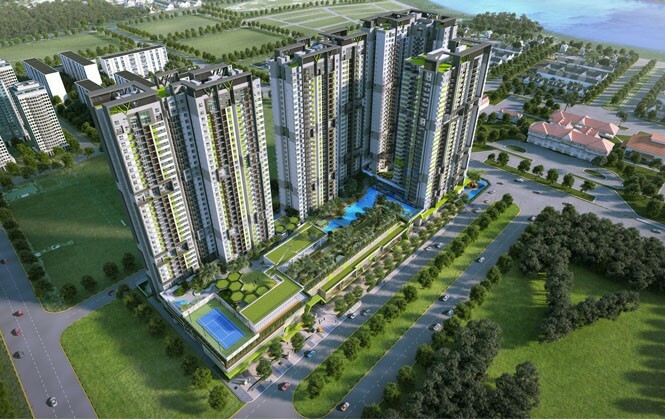 For a perfect living environment, lush and green architectural design has been the main focus at Vista Verde. Vista Verde has been awarded The Best Landscape Architectural Design by Vietnam Property Awards 2015. Orchid Garden on 2nd Floor and 5th Floor connects Orchid Tower to parking area and ground floor amenities. Gourmet Lounge with a spectacular Saigon River View on 23rd Floor. The concept design is based on the Orchid, the National flower of Singapore. World-class exclusive amenities: Gourmet Lounge (23rd Floor), Observation Deck (23rd Floor), Private Reception Lounge and Orchid Relaxing Garden on 2nd Floor and 5th Floor. Majority of units have an extraordinary view of Saigon River with panoramic scenery of District 7 and District 1. Fully-finished with world-class fittings from high-end brands. 24/7 Security with 4 layers of protection mechanisms. Water filtration system and 100% power backup. 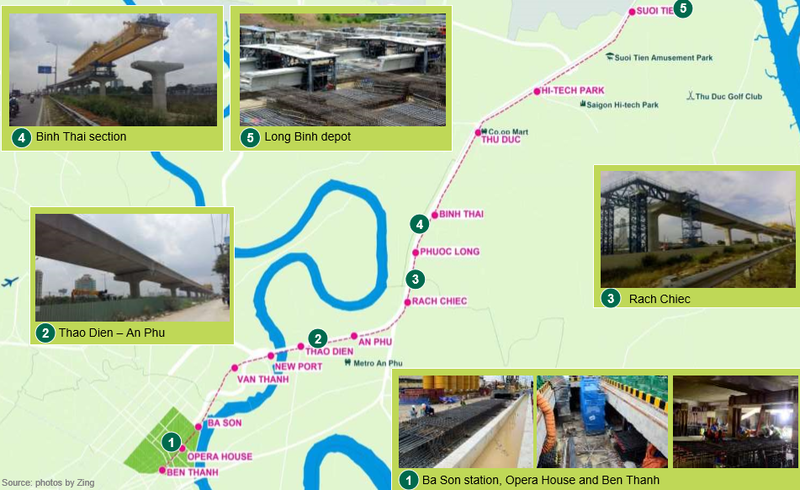 Developed by international developer CapitaLand (from Singapore) with track record of 6 projects in Vietnam, in collaboration with its Vietnamese partner, Thien Duc Ltd. Strategically located in the administrative heart of District 2, nestled on Phan Van Dang Street, a main road towards People Committee of District 2. Intricate design in every unit, corner and amenity carefully developed by CapitaLand’s dedicated design team. Variety of unit choices from 1-4 bedrooms, duplexes and penthouses with living area to meet purchasers’ needs. Legal peace-of-mind with CapitaLand’s track record in securing pink books (ownership certificate) to residents at completed projects. Enjoy 2 years of rental income guaranteed at 6% per annum by CapitaLand, managed by The Ascott Limited. Handover in 2017. For more information on Vista Verde Vietnam, simply fill up your details below and our salesperson will get in touch with you shortly!